"I just wanted to send a quick note that I was really impressed and greatly benefited from my physio sessions that my ENT referred me with Jessica DeMars! Her treatments and education helped me greatly with many things and especially with a recent marathon. During the race my exertion was high, but heart rate lower than it has ever been! It was a personal best time as well. I do notice an improvement in sleeping and also less pressure in my sinuses less ”headachey” all the time. I still struggle breathing through my nose but it is incredible to finally have a bit of relief. She also tied in pelvic floor work to help with my past prolapse and of course it is all related and helping me so much. She is wonderful and I am going to continue to see her to keep working on my progress. I may still have structural limitations, but at least I am learning how to breathe properly again, Everyone should see her! Thank you!" "Hi Jessica, I just wanted to take a moment to thank you so much for all your help last summer with my breathing issues. I was so excited to hear that the Calgary Winter Club was bringing in a Breathing Specialist. Prior to your arrival, I spent over 2 years being referred from doctor to doctor because of my difficulty breathing while exercising. During that time I had numerous lung capacity test, allergy tests, and asthma tests without any satisfactory answers. At one point, I even tried an inhaler for 6 months without any noticeable results. My breathing issue was getting so bad that I didn’t think I’d ever compete in swim meets again. It was too painful. Within two weeks of seeing you, I began to feel better. After 4 weeks of retraining my breathing, I felt like I was back to normal. 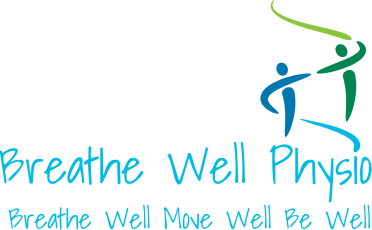 Once I added the Power Breathe apparatus to my daily routine I continued to experience noticeable improvements in both my breathing comfort and my lung capacity. In August, 2013, I competed at the World Masters Games in Turin, Italy. I swam in nine races and won a gold medal in eight of those events. I owe much of that to you and Power Breathe and I will most definitely be spreading the word. I really do feel that there are many athletes and recreational fitness buffs who have been diagnosed with asthma but who actually just need to have a session or two with you. Thank you Jessica!" "I started seeing Jessica for physiotherapy treatment of acute neck pain. During the course of our treatment, she noticed that my breathing was "a bit off." After she assessed it, I realized that not only was my breathing linked to my neck pain, but also to chronic headaches I had experienced and even to the reflux I was experiencing. After teaching me some breathing and posture tips, I couldn't believe that my reflux had improved so much - previously I was waking up with it and sometimes had to sleep in a chair. Now, I am finding I can sleep through the night. Learning to use better breathing techniques has certainly helped with my quality of life." "My name is Cole and I have been involved in competitive track for the last two years. This past outdoor season, I set a goal to improve my 800m and 300m race times to qualify for Legion Nationals. In early May, my times were 2:12.28 and 40.56 respectively. In late May, I saw Jessica DeMars to have my breathing techniques analyzed to see if this would help improve my times. By early June, I ran a 2:09.75 and continued to better my times throughout June into July. I was able to run a 2:07.56 at provincials which qualified me for Nationals. I continued to work on the breathing exercises and Powerbreathe unit that Jessica started me on, such that at Legions I ran a personal best in both 800 and 300. My times were 2:04.5 and 39.11 in these races. I personally believe that learning a new breathing pattern strategy and improving my diaphragm strengthening with the Powerbreathe, I was able to put down personal bests in my races which allowed me to achieve the goals for my season. I am continuing to use these breathing techniques/Powerbreathe as I go through cross-country season and upcoming indoor season of track, hoping that I will once again qualify for Nationals." "I no longer have fear over my asthma symptoms. I feel like I am in control of my life and I feel 200% better physically, with an improved quality of life. Not only have I lost weight because I am able to be more active, there has been a significant reduction in my GERD [reflux]. I am so grateful to both my respirologist and to Jessica for giving me my life back!"